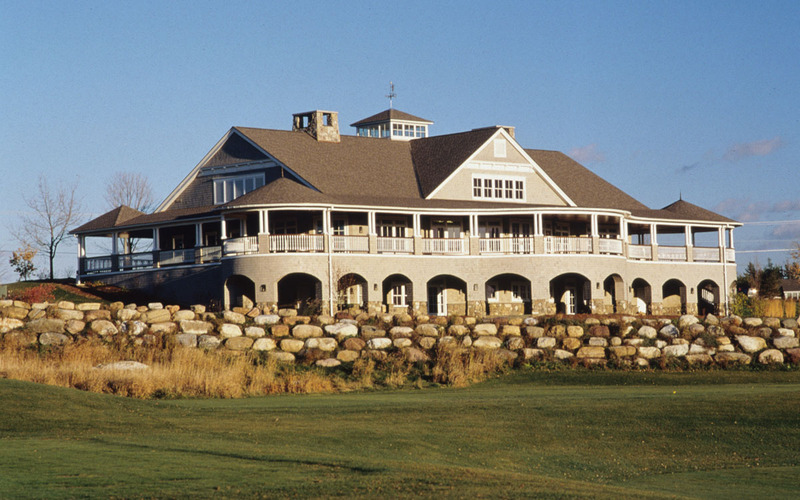 This shingle-style clubhouse for the Vermont National Country Club references seaside summer homes, evoking a sense of permanence, luxury and leisure. 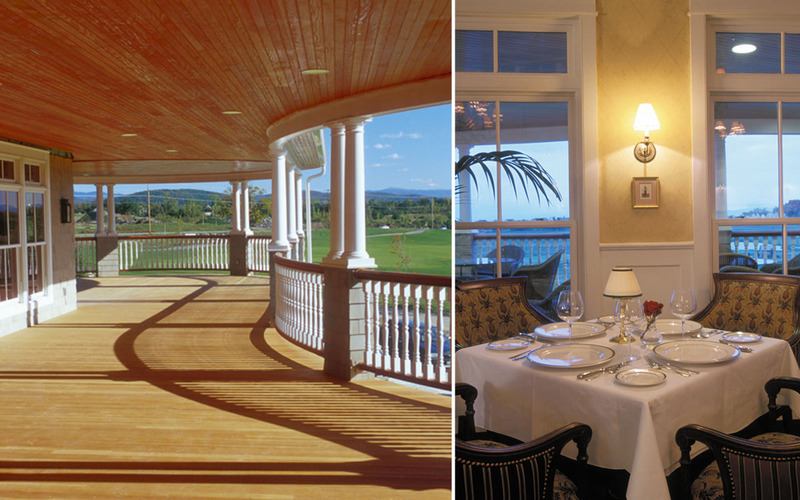 Featuring a sweeping curved porch overlooking the driving range and first hole, members enjoy panoramic views of the Adirondacks and magnificent sunsets. Elegant and efficient, the facility serves the needs of the Club’s members with a program that includes locker rooms and lounges, a pro shop, sitting room, and offices for club management. 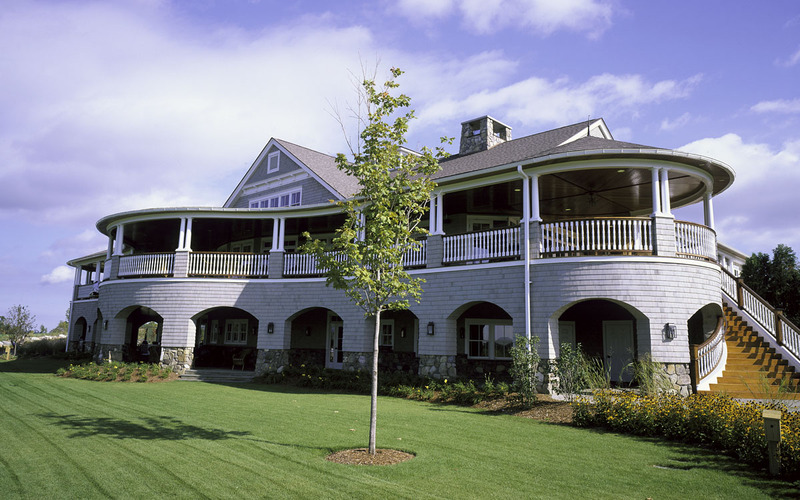 Food and beverage facilities include a full restaurant kitchen and dining room with year-round service, private dining and meeting room, a mahogany paneled bar, and a snack bar serving the golf course.